I want to clear something up from a few posts ago. I am not against donating to local/US charities. I'm all for it. They need our support to continue doing the good things they do. My main point in that post is that we shouldn't be against helping people in other countries. We have so much as Americans--even the very poorest among us have more than you might realize. And as the hymn goes, "Because I have been given much I too must give..."
So, I hope that will stop the angry e-mails I've received. By the way--it's O.K. to disagree with me in the comments. So many e-mails start with something along these lines: "I didn't want to argue on your blog..." or "I didn't want to seem disrespectful in your comments..."
It's O.K. I can take it. I'm a big girl (really, I am). So anyway, I'm going to use my voice here to shamelessly plug a few charities that are near and dear to the Douglass family. (And they're all US charities, so there.) I'm providing a link for each one, should you feel inclined to donate. (And I'll still love you if you don't). First and foremost is The Ronald McDonald House. You always see the collection containers at McDonald's. Everyone is aware of its existence. But really you can never understand how important they are until you need one. We had to stay in one for about 2 weeks when Liam had his surgeries in Philadelphia. We had a beautiful, comfortable room to stay in. We had meals provided daily. We had rides to and from the hospital. We had staff to help us with whatever we needed. We had computers and internet and phone cards to keep family members up to date. And best of all they had things to keep Ben entertained. Those may seem like small things, but when your entire focus is on keeping your newborn alive, having those small things taken care of for you is a huge blessing. Next is the American Heart Association. This one is pretty obvious. Liam is alive because doctors working with grant money from the AHA found a way to repair what was unrepairable just 15 years ago. Fifteen years ago Liam would have died. It's as simple as that. He also wouldn't be alive without the surgeons and nurses and doctors at The Children's Hospital of Philadelphia. Some of the most groundbreaking research in children's health has come out of CHOP. Liam's surgeon was one of only a handful of surgeons in the world who had ever performed the procedure that saved Liam's life. Finally, there's the American Red Cross. They helped with the process of getting us from Germany to Philadelphia, and when we stepped off the military plane they met us with quilts and water and phone cards and a toy for Ben. Thanks for sharing your US charities. I love giving at home, but I too see nothing taken away from giving to foreign countries. 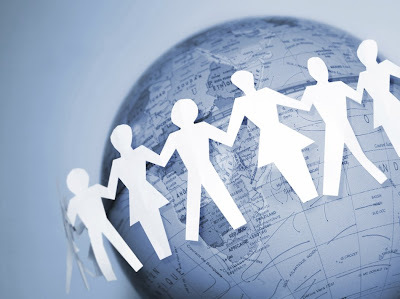 I know of the many aid organizations available in the US and I do see that there are many shortfalls and that people are often not at fault for their situation or they're in a random loophole that precludes them from benefits. I know that the programs here are doing their best (in most cases) but I have a hard time donating when I hear that only 50% or so of the funds I give actually help with research or giving aid in some groups. I am not delusional in thinking that all funds that I donate to foreign services are given to those who need it most, but it's my choice. I'm surprised to hear of people getting so upset. In my opinion, it's your choice where you choose to offer aid and service and the fact that you're even looking at helping others is commendable. Besides that, fast offerings and service projects can't be overlooked as local community offerings to help people here at home. I can't even remember the number of hygiene kits, Project Linus blankets, women's shelter item collecting and other projects I've been involved in (which is good, that means people have planned a lot of involvement to help here at home). 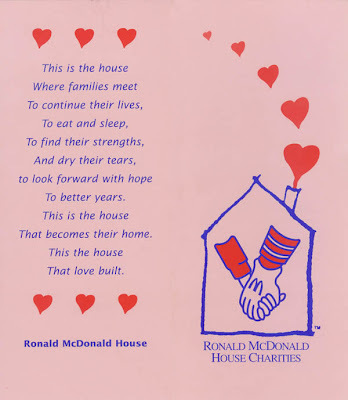 As for my favorite US charity programs, I like the Susan G. Komen Breast Cancer Foundation (my mom is a survivor, they could do better with using money for actual research though), Ronald McDonald House and Fisher House (military base version of Ronald McDonald), and food bank organizations. With food banks I know that my entire donation is going to help since it's food. That's it for now. Oh, I got your message about the church time. Thanks for the info. I'm not sure if we're going to stay in your area long enough to go to church though. We'd still like to attempt a visit with everyone though so we'll see what we can do.